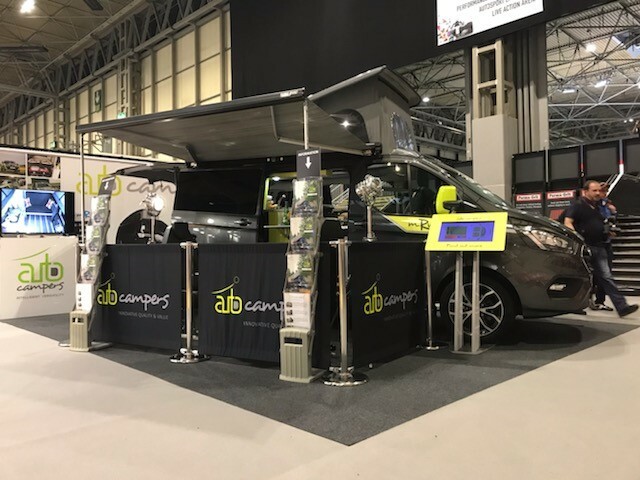 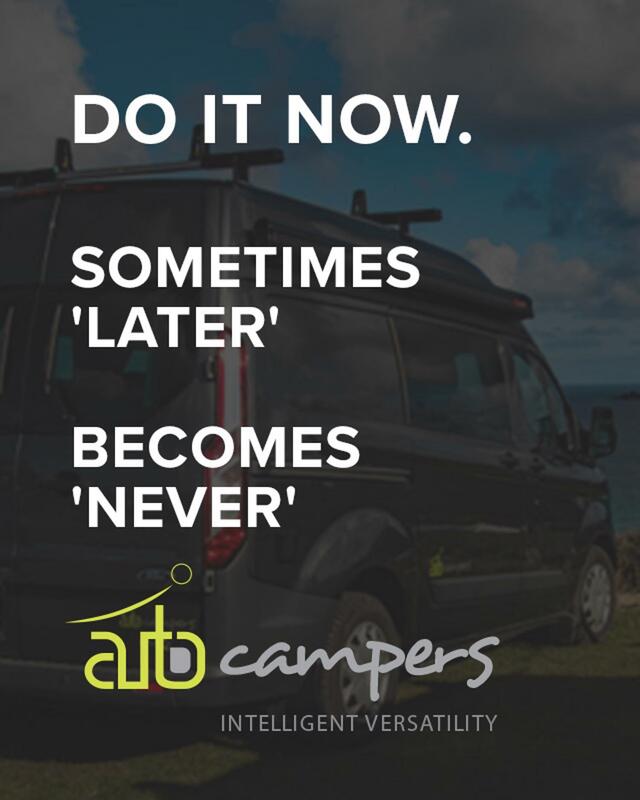 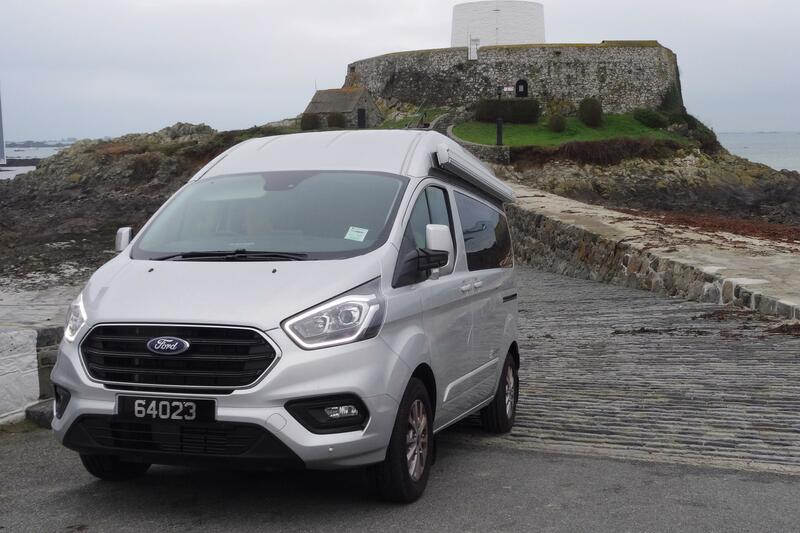 We are proud to exhibit 5 Auto Campers this year with representation from Auto Campers South, North & Hire specialist Highland Auto Campers who can help you make the most of driving the North coast 500! 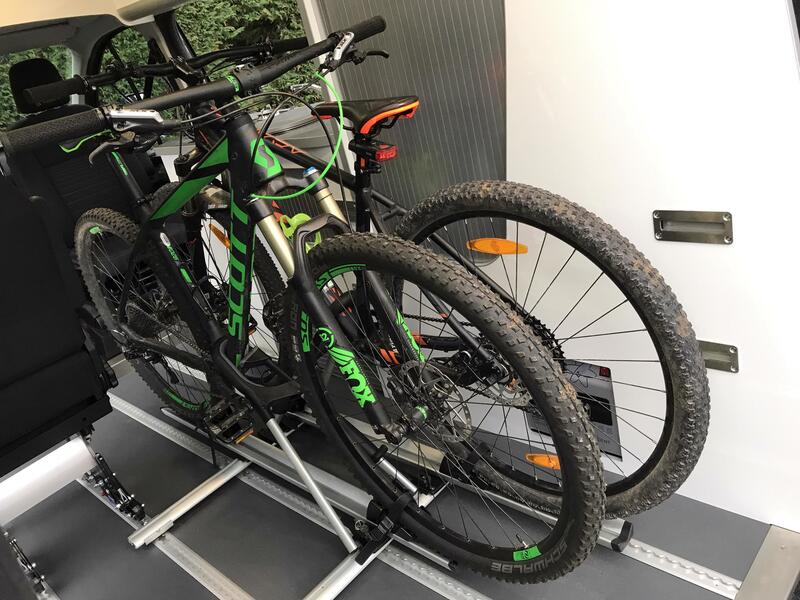 New MRV owner Rachel used our engineering experience to help fabricate bespoke brackets to fix her Thule bike roof-rack system to her Auto Camper, MRV, 4 rail floor tracks. 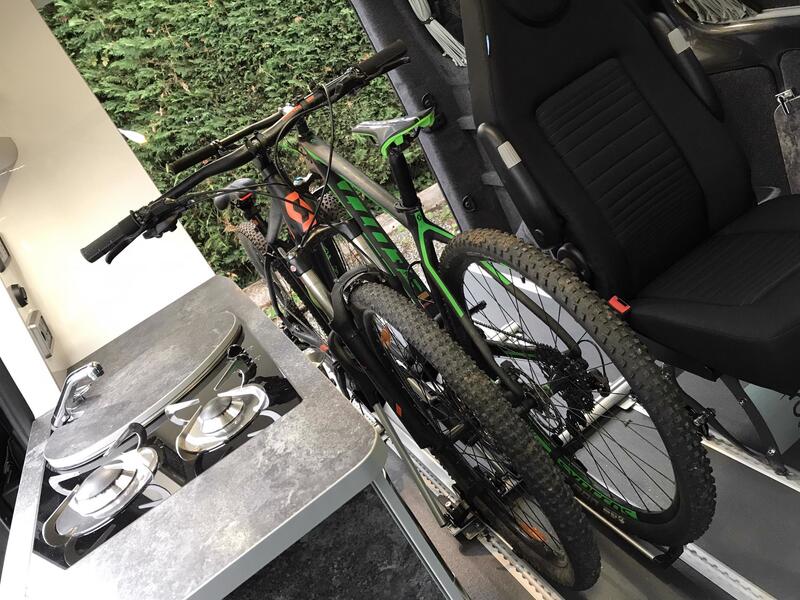 Threaded turny wheels were later added to enable quick release of frame from floor. 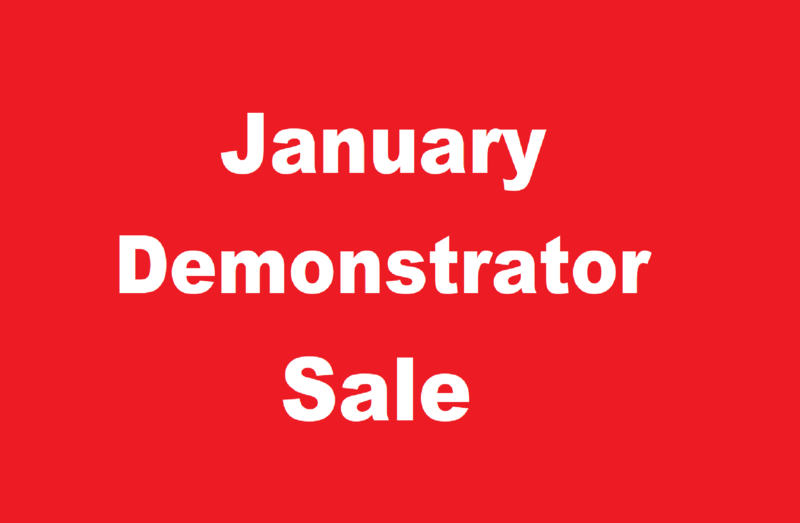 Save on 2018 demo stock with demo discount applied, don’t delay,discount is only ever given on demonstrator stock! 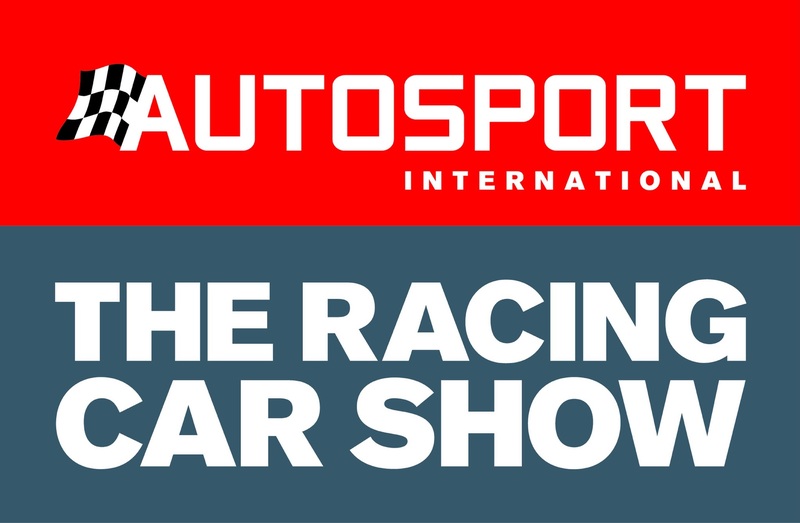 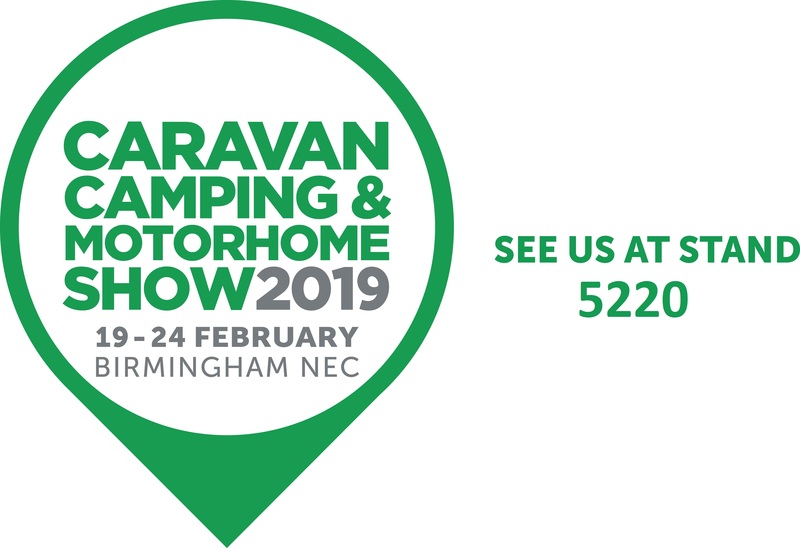 Come and see us at the Autosport International show this Thursday – Sunday, 10th – 13th January 2019 at the NEC Birmingham. 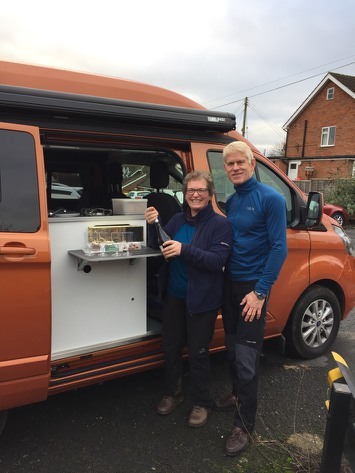 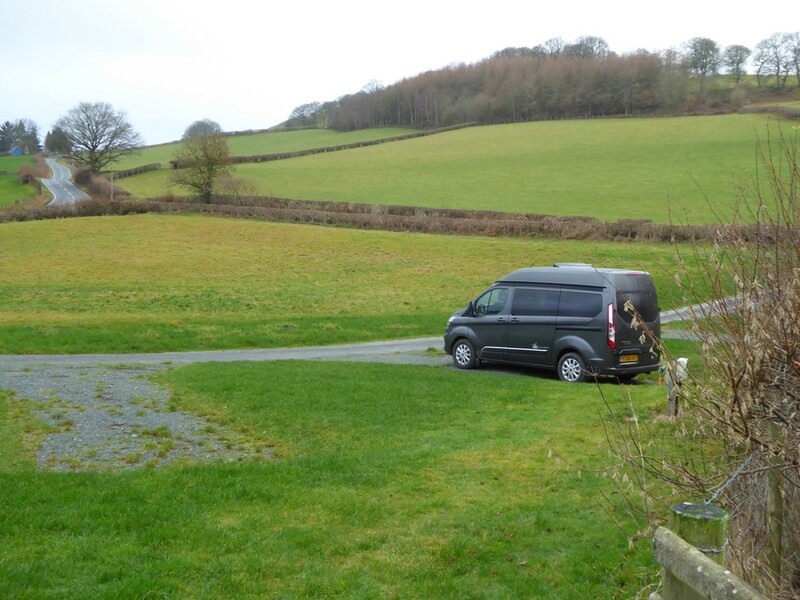 Lesley, John & friends celebrated their first walk of the new year by returning to their cosy Leisure van and a bottle of fizz! 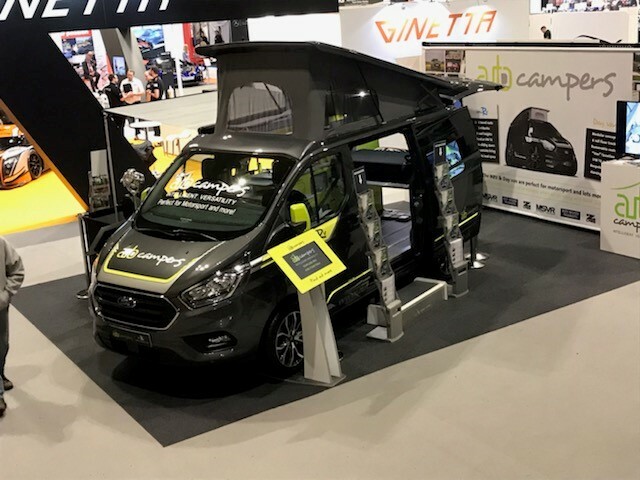 MRV, Hi – line exploited! 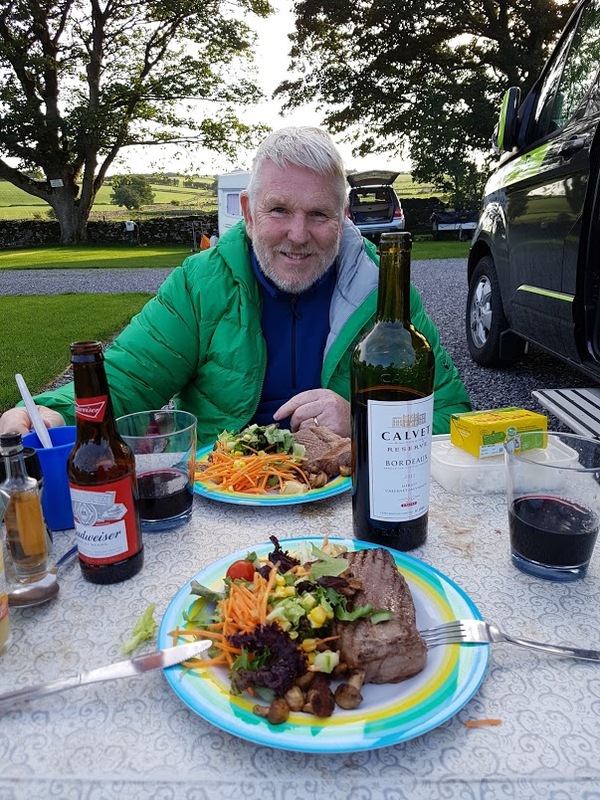 Kevin & Kath from Guernsey, out and about making the most of the last days in 2018.